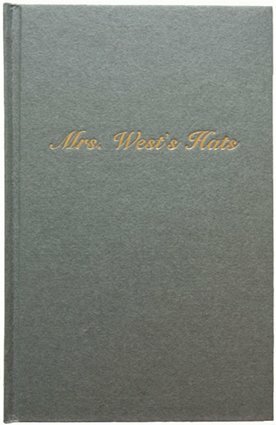 Mrs. West’s Hats is the first publication in book form of a series of sixty photographic self-portraits produced by the artist Helen Couchman in 1997. 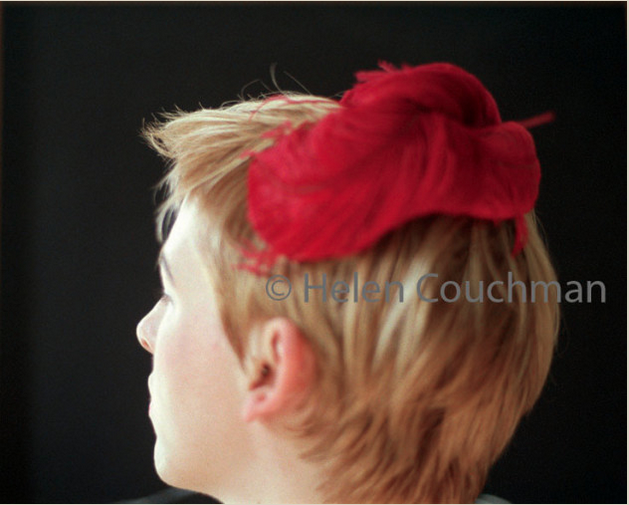 The title of the piece refers to Couchman’s maternal grandmother, Mrs West (1909-1993). 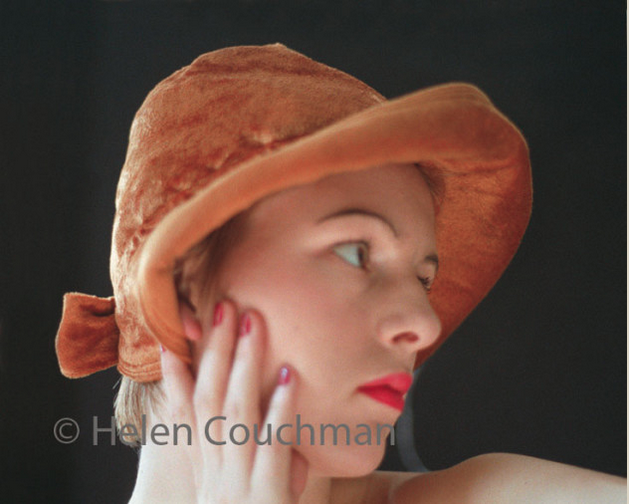 In the photographs Couchman, made up to look like a young woman of the austere 1940s or ’50s, is seen wearing a succession of her grandmother’s hats, as though acting out the “role” of her own grandmother as she would have looked during that period. Couchman in effect plays three distinct characters here: herself, her grandmother and that of a generic fashion model from the 1950s. That this work involves a kind of acting or staging, as opposed to an attempt at “straight” historical reconstruction is emphasised by the structure of the photographic sequence. This opens with the image of a mirror, and closes with a final picture of the artist, this time seen in the act of removing her make-up, thus breaking the spell of the illusion that is the constructed image of the self. Mrs West was an important and influential figure for Couchman in her youth, and these photographs constitute a homage to her, but also involve mourning and melancholy. This deep personal connection to her deceased grandmother is foregrounded through the donning of what is an astonishing range of hats, “the stars of the show” as Anthony Gorman calls them in the scholarly essay he has contributed to the book. 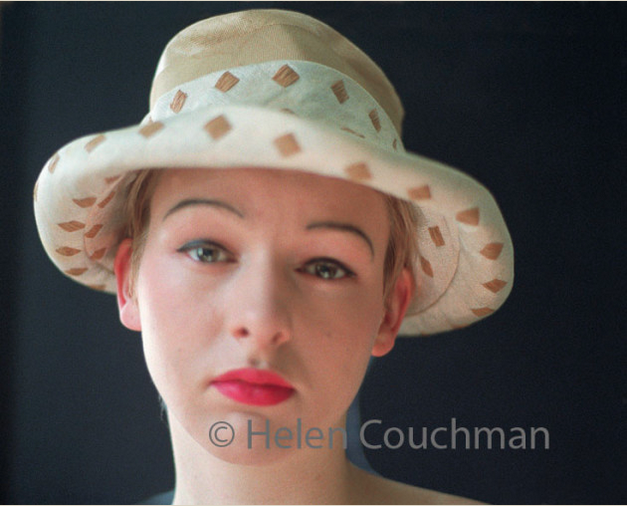 As Gorman points out, the hats come in a rich panoply of colours and designs, and are literally the focus of these images. 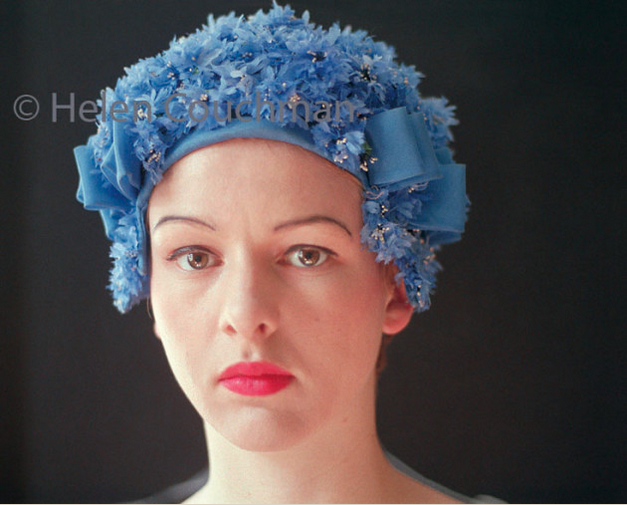 “As the example of Mrs West’s headgear shows”, writes Gorman, “hats are as diverse and expressive as faces.” There is a sharp contrast here between the sometimes brash splendour of the hats Couchman wears and her frequently restrained features. When these hats were at the height of fashion, long before the artist was born, social and economic attitudes were, in a country either still at war or just prior to full recovery, somewhat subdued. The variety and liveliness of the hats shows the complex constructions of fashion and the sharp resolve of the individual during troubled times, their forms like ranks of brazen flowers furiously blooming in an unattended field. In considering these hats, their present wearer, their original owner the resilient Mrs West, and the modes and conditions of the hats’ invention, the viewer of Mrs. West’s Hats is asked to consider a wide range of important and engaging issues: representation and self-portraiture, generational and historical transmission, identity and difference, fashion and the conflicting configurations of selfhood when filtered – indeed constructed – through particular historical conventions of dress and display. 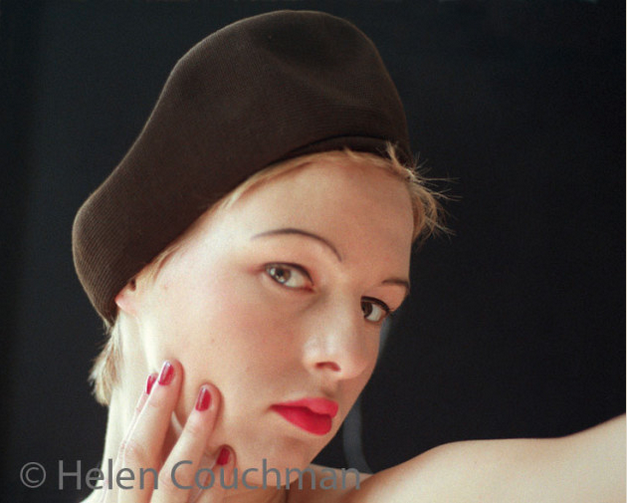 Mrs. West’s Hats is Helen Couchman’s second book. In 2008 she published WORKERS (Gong ren) (ISBN 978-0-9560172-0-8), an anthology of her portraits of Chinese workers involved in the construction of the stadium and village built to house the 2008 Olympic Games, held in Beijing.